Trade secrets are generally defined as any information in which the owner of such information has taken reasonable steps to keep secret and that derives economic value from not being known to, nor readily ascertainable by, another person who could derive value from it. Trade secrets and other confidential and proprietary information is one of (if not) the biggest assets of most businesses. Protection of trade secrets and confidential information has historically been governed at the state level. In some cases, creating differing rules and inconsistent applications of the law – especially for employers with locations in multiple states. On May 11, 2016, President Obama signed into law the Defend Trade Secrets Act (“DTSA”), which gives employers more uniform federal protections for the misappropriation or theft of trade secrets. The protections of the DTSA are in addition to trade secret protections provided under state law and apply to contractors as well as employees. Remedies available to employers under the DTSA may include injunctive relief, actual damages, restitution, and/or royalties. In limited circumstances and subject to certain protections, employers may be allowed to immediately seize the return of misappropriated trade secret material without notice to the other party. If the wrongdoer is proven to have acted willfully and maliciously, employers may recover exemplary damages (up to two-times actual damages) and reasonable attorneys’ fees. The DTSA also, however, protects employees or contractors from civil or criminal liability for the disclosure of trade secrets of an employer if a disclosure is made in confidence to a government official or attorney and made for the purpose of reporting a violation of law, or disclosed in court or to an attorney by an employee in an action for retaliation brought against an employer/former employer. Employers are required to provide written notice to employees and contractors of the immunity protections offered in the previous sentence. Such notice (or reference to a separate policy including the notice) must be included in any agreement with confidentiality or proprietary matters provisions that is entered into or amended after May 11, 2016. Failure of the employer to provide this notice will result in the employer’s inability to make any claim for exemplary damages or attorneys’ fees. 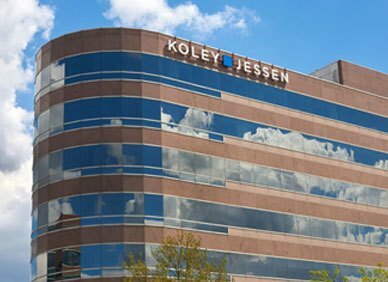 To discuss this new development in the law or for assistance updating your non-disclosure, confidentiality or proprietary matters agreements, please contact a member of Koley Jessen’s Employment, Labor and Benefits Practice Group.